areas can be a little tricky at times. ​at a flat rate cost of 200 baht between the hours of 08:00 to 17:00. Udon Thani Airport outside these hours for 300 baht. Please contact Ong directly if you wish on 081 054 8055. ​or you can contact me to arrange an airport transfer. 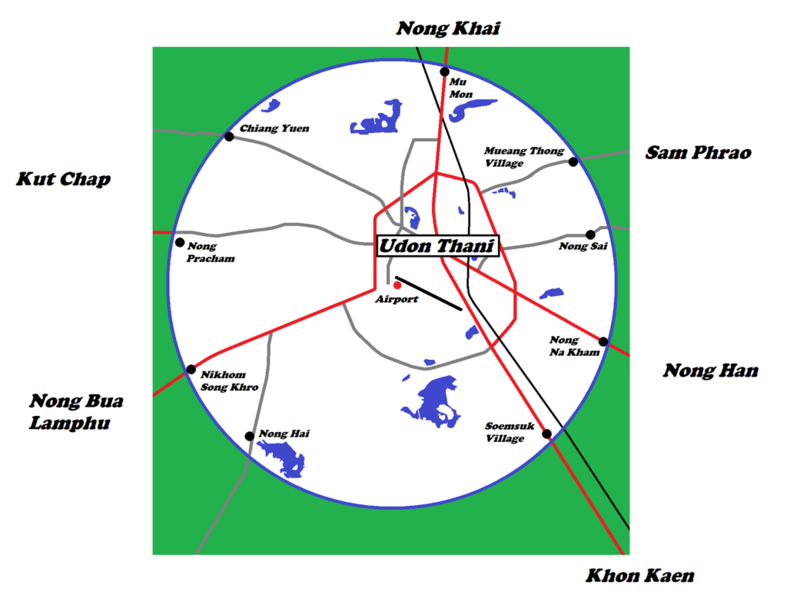 The map below shows a 10km radius from Udon Thani Airport. 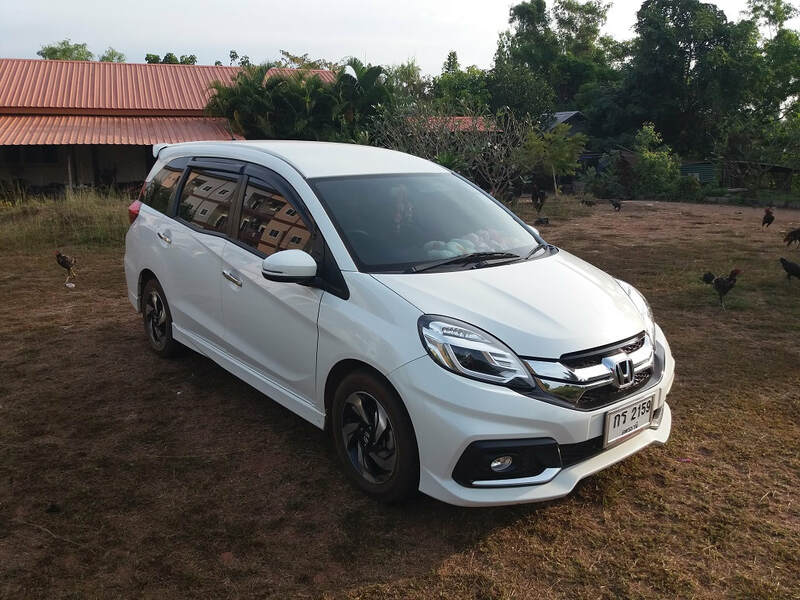 ​The car is a Honda Mobilio 1500 cc, a little over 2 years old, in pristine condition and very well maintained. It is a 7-seater, so plenty of room for groups and/or bags etc. 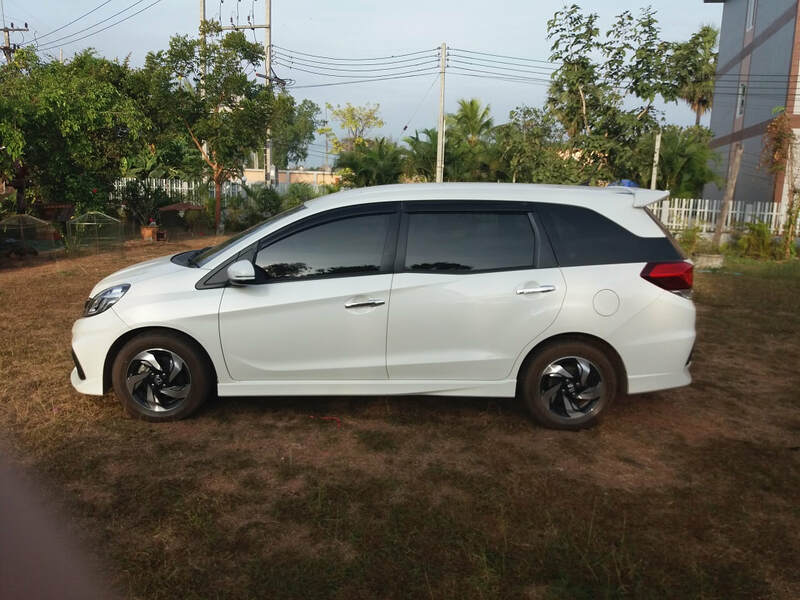 Although it is a big car, there is a maximum of 5 adult passenger permitted at any one time. I have known Ong for many years, having first spoken to her in September 2010. Her spoken and written English are quite reasonable for a lady from the Issan region, having never learned the language at school. 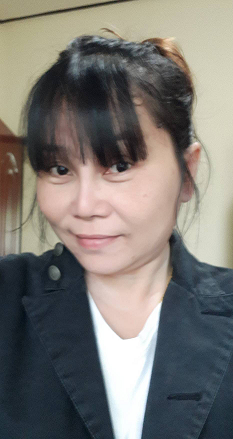 She took it upon herself to learn while she was working in a hotel in Udon Thani so she could understand and help the English speaking visitors better. She is as nice a lady as you are going to find in Thailand, not too deeply religious but reveres Buddha of course and goes to many temples to earn merit throughout the year. If you would like to take advantage of this service, make a booking or just want to know more, please contact me, providing as much detail as possible.